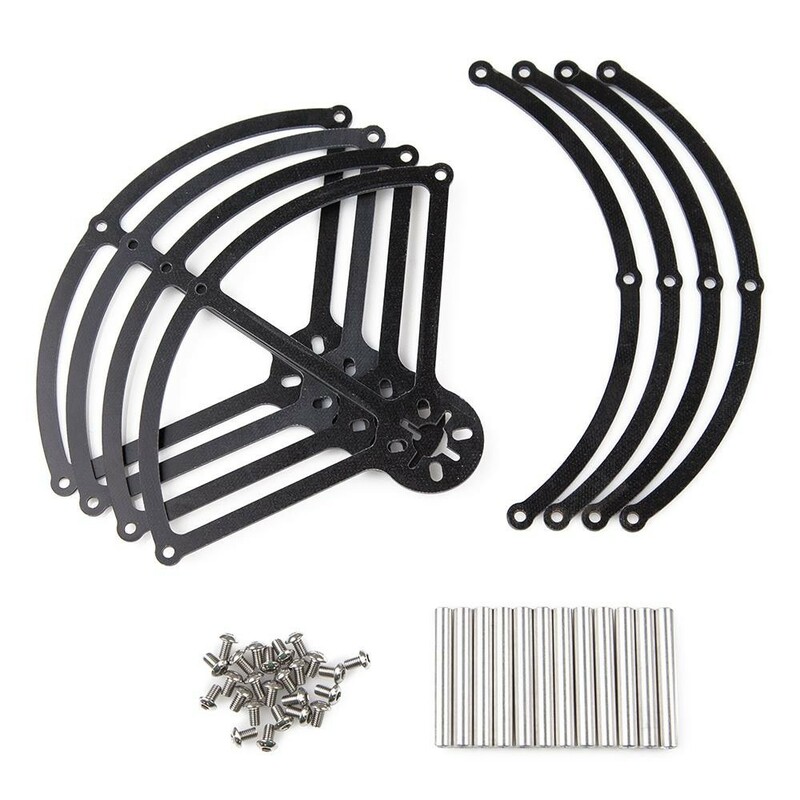 QAV250 Mini FPV Quadcopter G10 Edition can use these propeller guards, if using the motors from RCX you will need to use M2 mounting screws. Please note that the propeller guards are mounted underneath the motors, you will require longer motor mounting screws which are not supplied with the guards, however these are available separately, see below for links to screws. The QAV250 G10 prop guards will help avoid crashes, however they are not a guarantee that you will not stall a propeller and crash. If flying in to an object at speed the force of the impact will still result in a crash. Another important point to consider when using the guards, if you fly into small branches or fly against a pole that avoids the prop guards, etc. a stalled prop is still going to happen. Each assembled prop guard weighs 15 grams. Total for all 4 guards together is 60g. 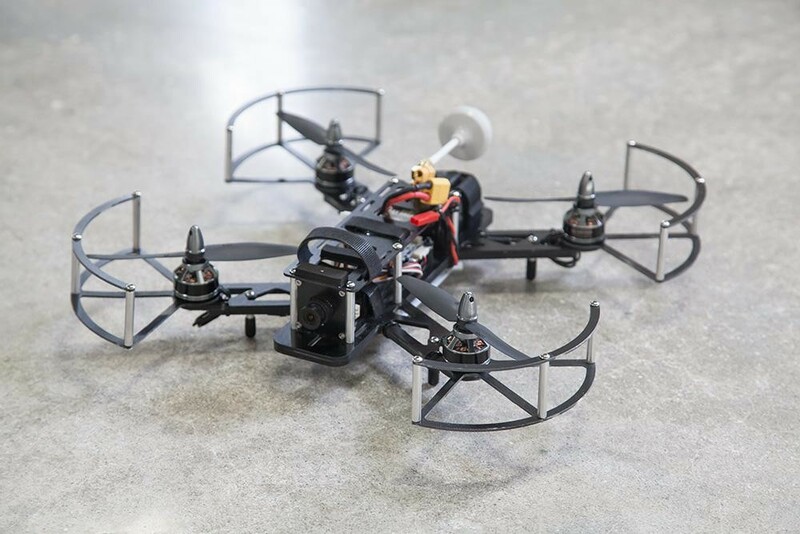 Will fit on G10 QAV250, Carbon Fiber QAV250 and possibly other mini quad frames that use 5" props. For motors that use M3x8 screws, you will need 16 M3 screws that are 7-8mm long. For motors that use M2x8 screws, you will need 16 M2 screws that are 7-8mm long.